Draft: 1999, New York Mets, 4th rd. Married (Windy)…has three daughters (Suil Anyelina, Feb. 15, 2005, Briana Valentina, Jan. 29, 2008 and Larah Milana, Jan. 5, 2016)....Graduated from Republica de Colombia High School in Rio Piedras, Puerto Rico in 1999...played baseball, volleyball, and basketball...named Athlete of Year his senior year...Played in Pony League World Series in North Carolina two consecutive years, 1998-1999...Played at Indian River Community College in Ft. Pierce, FL in 1999 before signing with the Mets. Made his seventh Opening Day roster and fourth-consecutive in a Giants uniform...Hit .262 (134-for-512) with 27 extra base hits and a .303 on-base pct. in 133 games....Recorded just 27 extra base hits (107/134 hits were singles)....Owned the ninth-highest avg. against left-handed pitching in the NL, hitting at a .318 clip....Hit .336 (45-for-134) with a .359 on-base pct. through the first 34 games of the season, but then fell into a slump and hit .235 (89-for-378) with a .284 on-base pct. in his final 99 games....Played with two sore knees for most of the season and was placed on the 15-day disabled list Aug. 11 (retroactive to Aug. 10) with right patella tendinitis...had a platelet-rich plasma injection and missed 20 games before being activated Sept. 1...Hit his first home run of the season Sept. 5 at Colorado, hitting a solo shot off RHP Chad Bettis…his home run ended a 697 at-bat drought without a homer, which had been the longest such active homerless streak in the big leagues. Spent his third consecutive season in a Giants uniform and batted .300 (115-for-383) with 56 runs, 21 doubles, two triples, three home runs and 27 RBI in 96 games...For the second straight season he missed a significant amount of time, missing 44 games with back inflammation from June 25-Aug. 7 that led to an epidural and weeks of rehab at the team's facility in Scottsdale, Arizona... inflamed the same nerve in his back in late September and missed an additional 13 games...With just six games remaining in the regular season it was announced that he'd have season-ending surgery on Sept. 25 in Los Angeles to repair a bulging disk in his back...Dr. Robert Watkins, a renowned spinal surgeon, performed the procedure, a discectomy to shave the herniated portion of the disc that was pinching a nerve and causing pain...Also missed three games with a sprained AC joint in his left shoulder after jamming it on May 17 while coming up short on a diving attempt...Was placed on the 15-day DL June 25 (retro to June 15) with a lower back strain...was diagnosed with a bulging disc and a narrowing of the nerve canal in his lower back... was expected to return to the lineup July 1, but suffered a setback while running and consulted with Dr. Robert Watkins in Los Angeles to determine a course of treatment...Had the ninth-highest avg. in the NL in the month of April, hitting .337 (32-for-95)...Received his second career ejection on April 21 at Colorado (ejected by HP umpire Tumpane) for arguing a third called strike...Hit a pair of leadoff homers: April 29 vs. San Diego and May 2 at Atlanta. Missed a significant amount of time in his second season with San Francisco after injuring his left hamstring in late May…batted .282 (79-for-280) with 16 doubles, five HRs and 30 RBI in just 71 games with the Giants. Re-signed with the Giants in the 2012 offseason to a fouryear contact. Played for Puerto Rico during the World Baseball Classic and was named to the 2013 MetLife All-World Baseball Classic Team after leading Puerto Rico with a .364 batting average (12-for-33), .485 slugging pct., and a .447 on-base pct. in nine games...his 12 hits set a Puerto Rican record for the Classic. Recorded the third game-ending hit of his career on April 19 vs. San Diego, driving in the game-winning run with a double in the 9th inning off RHP Luke Gregerson, giving the Giants a 3-2 walk-off win. Hit his sixth career leadoff home run on May 1 at Arizona. Hit a two-run, inside-the-park, walk-off home run off Colorado's Rafael Betancourt in the bottom of the 10th inning that gave the Giants a 6-5 comeback win on May 25...it marked Pagan's third career inside-the-park home run and the seventh inside-the-park homer in AT&T Park history (fifth by a Giants player)...it was also his second career walk-off homer. Prior to Pagan accomplishing the feat, the Majors' last walk-off homer that didn't leave the yard came June 11, 2004, when another Rockies pitcher, Shawn Chacon, was victimized by Tampa Bay's Rey Sanchez...however, it had been 24 years since the Majors' last walk-off inside-theparker that erased a deficit...according to Elias, the last such blow had been hit by the Phillies' Bob Dernier, who wiped out a 2-0 Giants lead in the 12th inning with a three-run shot off Craig Lefferts on May 15, 1989. It had been 83 years since the last Giants' walk-off inside the-park homer, hit by future Hall-of-Famer Bill Terry against the Cubs at the Polo Grounds on Aug. 24, 1931 in the New York Giants' 2-1 win. Prior to hitting the inside the park HR; had hurt his left hamstring in the 8th inning diving for a fly ball, but stayed in the game...he sat out the next 11 games before being placed on the 15-day disabled list on June 7 (retroactive to May 28) with a strained left hamstring. Suffered a setback in his first rehabilitation game on June 20...hit a ground ball to 2nd base in the 9th inning and pulled up lame three-quarters up the line...he started to jump up and down and couldn't make it any longer...never reached 1st base and was carted off the field. After having a second opinion it was determined that he needed surgery...underwent successful surgery on his left hamstring tendon (inside back of knee) on June 25 in Los Angeles by Dr. Neal El-Attrache at the Kerlan Jobe clinic. Missed a total of 82 games from May 26-Aug. 30. Was reinstated from the 60-day DL on Aug. 30 and went 30-for-93 (.323) in 25 games following his return. Recorded his third game-ending hit of the season on Sept. 8 vs. Arizona...his three games with a walkoff RBI were the most for any San Francisco player in one season since Andres Torres did it three times in 2010. Posted one of the best seasons of his career, logging career bests in runs (95), 2Bs (38) and 3Bs (15) while batting .288 (174-for-605) with eight HRs in 154 games in his first season with San Francisco...His 15 3Bs not only led all of Major League Baseball, but also set a San Francisco-era record (since 1958) for a single season, surpassing Steve Finley (12 in 2006) andWillie Mays (12 in 1960)...Led the club with 29 stolen bases and was successful in 29 of 36 overall...His 29 steals were the most by a Giants player since Dave Roberts swiped 31 bags in 2007...His 95 runs scored tied Chase Headley and Matt Holliday for the seventh-most in the NL...Ranked 10th in NL with 38 2Bs and his 24 2Bs since break were tied w/Norichika Aoki for most in the NL...Was the seventh hardest player to double up in the NL, averaging 100.8 at-bats per GIDP...Led all ML players with 32 runs scored in August and his .342 avg. ranked 11th-best in the NL...Had 18 extra base hits in August (11 2Bs, 4 3Bs, 3 HRs), the second-most in the Majors...Had three separate hit streaks of 11-or-more games (11 games, 15, 20)...Posted the longest home hitting streak in franchise history (since 1900), hitting safely in 28 consecutive home games from April 14-June 4...it was the longest home hitting streak for any ML player since 2010, when Josh Hamilton hit safely in 29-straight home games at Rangers Ballpark...Hit safely in 20-straight games from April 14-May 6, tied for eighth-longest hit streak in SF-era history...Joined Pablo Sandoval and Marco Scutaro as the first trio of teammates to hit safely in 20+ games in the same season in Giants franchise history, dating all the way backto 1918...Became the first Giants player in the modern era (since 1900) to hit safely in 47 of 50 games in a single season (he accomplished this feat from April 14-June 9)...Started 149 of SF's 162 games (148 in CF and one as DH). Hit .262 (125-for-478) with 24 2Bs, 4 3Bs, 7 HRs and 56 RBI while going 32-for-39 in stolen baseattempts in his 4th campaign with New York-NL. ... Tied his career-best with 44 walks and played in 123games, 2nd-most of his career. ... Finished with 2nd-most runs (68), 2Bs, HRs, RBI, ABs andstolen bases of his career. ... Stole 32 bases to combine with Jose Reyes (37) as onlypair of National League teammates with at least 30 stealseach...Texas' Elvis Andrus (37) and Ian Kinsler (30) wereonly other pair in Majors to accomplish feat. ... Placed on 15-day disabled list, April 22-May 27, withstrained left oblique that he hurt April 21 vs. Houston. ... Hit .295 (61-for-207) over his final 52 games. ... Drew career-best 3 walks on April 3 at Florida. ... Hit clean-up on June 8 at Milwaukee and then againon June 13 at Pittsburgh...they were his 1st two careergames started in four slot of line-up. ... Had season-best 4 hits and 4 RBI on June 29 at Detroit...also set season-best with 3 runs scored. ... Stole base in 4-straight games, July 5-July 8, longest suchstreak of his career and tied for 5th-longest in Majorsin 2011. ... Snapped 0-for-17 skid with an infield single in 5th inningon July 16 vs. Philadelphia. ... Hit 1st walk-off home run of his career on July 20 vs.St. Louis, in 10th inning off Fernando Salas...it was 2ndgame-ending hit of his career (other was on April 10, 2008;single). ... Hit team's 1st leadoff HR of season and 3rd of his careeron Aug. 8 vs. San Diego (off Tim Stauffer). ... Homered for 2nd-consecutive night on Aug. 9 vs. SanDiego, 2nd time in his career he hit home runs in consecutivegames...hit home runs in consecutive games, July 20and July 21, 2010. ... Made 10 errors, 2nd-most of any outfielder in Majors(Justin Upton had 13). Set career highs in practically every offensive category: games, starts (139),at-bats, runs, hits, doubles, home runs, RBI, stolen bases and walks...Finished second in the National League with 37 stolen bases...Became thefirst Mets' outfielder to steal 30 bases since the 1999 season (RogerCedeno-66 steals, Rickey Henderson-37 steals)...Was one of two players in the major leagues this season to have at least 30doubles, 10 home runs, 60 RBI and 30 stolen bases...The other player wasTampa Bay's Carl Crawford (30 doubles,19 home runs,90 RBI,47 stolen bases)...Finished seventh in the NL with a .339 batting average with men in scoringposition,was tied for third with 10 outfield assists and tied for eighth with a.320 batting average at home...Made 139 starts in the outfield (88 games in centerfield, 29 games inrightfield and 22 games in leftfield)...For the season, he had 30 games with two hits, 15 games with three hits andtied his career-high with two, four-hit games: June 22 vs.Detroit and August24 vs. Florida...Hit .300 (131-437) vs. righthanded pitching and .261 (37-142) vs. lefthandedpitching...Hit over .300 in three separate months: May (.333), June (.308) and July(.337)...Scored the winning run in the 20th inning in the Mets' 2-1 victory in St. Louison April 17...It marked the first time in franchise history that NewYork hadscored a run in the 20th inning or later...On May 19 atWashington he hit an inside-the-park home run (fourth inningagainst Livan Hernandez) and started a triple play....Became the first playerto accomplish each of those feats in the same game since Phillies shortstopTed Kazinski did so against the Giants at the Polo Grounds on September25, 1955...Pagan caught Cristian Guzman's sinking line drive, threw to catcherHenry Blanco who threw to shortstop Jose Reyes to double off Hernandezat second base...Reyes then threw to Ike Davis to catch Nyjer Morgan at firstbase and complete the triple play...On August 1,Carlos Beltran, Jesus Feliciano and Pagan, all natives of PuertoRico, appeared in the outfield at the same time...According to the BaseballHall of Fame, it marked only the seventh time an All Puerto Rican outfieldplayed together in the same game...The last time was June 6, 1981 when theCubs had Carlos Lezcano, Jerry Morales and Hector Cruz...Jose Reyes (30 steals) and Pagan became the fourth set of teammates to steal 30 or more bases in the same year...Thelast time it happened was 2007 (Reyes and David Wright)...For the year, had 21 multiple RBI games: 17 contests with two RBI, three with three RBI and one with four RBI, June 22vs.Detroit...Had a season best 10-game hitting streak from June 11-June 22...Hit .386 (17-44) during that span...Collected six-game winning RBI for the year. Finished fourth in the major leagues with 11 triples...All 11 of his triples cameafter July 11th...Made 59 starts in centerfield, 17 starts in leftfield and five in rightfield...Had a 19-game home hitting streak from August 3rd-September 18th...Hit .370(30-81) over this stretch...The 19 games was the longest home hitting streak inthe National League in 2009, and the second longest in franchise historybehind Edgardo Alfonzo's 22-game home streak from May 16-July 6, 1997...Hit .333 (59-177) with 27 runs scored, 14 doubles, six triples, five home runsand 23 RBI in 43 games at Citi Field...Batted safely in 35 of 43 games...Underwent surgery at the Hospital for Special Surgery on March 11th toremove a bone spur from his right elbow...Appeared in three games with Buffalo as part of his major league rehabilitationassignment...Hit .286 (4-14) with two runs scored, two triples and two RBI fromMay 12th-May 15th...His contract was selected on May 16thfrom Buffalo (AAA) of theInternational League...Went 4-6 with a run scored and adouble on May 18th at Los Angeles(NL)...The four hits were a careerhigh...Matched the four-hit effort onOctober 4th vs. Houston...Left the game on May 31st vs.Florida with right groin discomfort...Placed on the 15-Day Disabled Liston June 1st with a strain of his rightgroin...Hit .417 (5-12) with four runsscored, two doubles, three RBI andtwo stolen bases in four games withSt. Lucie (A) of the Florida StateLeague as part of his rehabilitationassignment from July 6th-July 9th...Activated from the 15-Day DisabledList on July 10th...Tied his career-high with two stolenbases on July 11th vs. Cincinnati...Also stole two bases on April 23,2008 at Washington...Connected on his first home run ofthe season with his first career grandslam on August 1st vs. Arizona...Thegrand slam off of Clay Zavada gavethe Mets a 9-5 lead heading into theninth inning...It was his first homerun since July 15, 2007 with Chicagovs. Houston...Established a career-high five RBI on August 1st vs. Arizona...Had previouslydriven in three runs on three separate occasions, most recently on June 25, 2007...Became only the third player in the major leagues during the 2009 season to drivein five or more while batting leadoff, joining Jimmy Rollins and AndrewMcCutchen...Only three other Mets players have had a five-RBI game whilebatting leadoff, Jim Hickman (1963), Ron Hunt (1966) and Gregg Jefferies (1989)...Hit his second home run of the season on August 5th vs. St. Louis...Went 14at-bats between his first and second home runs...Had a 254 at-bat droughtbefore his first home run of the 2009 season, dating to July 15, 2007...His single on August 6th gave him 43 hits on the season which established acareer-high for the outfielder...Had 42 in 170 at-bats with the Cubs in 2006.Set a career-high with a 10-game hitting streak (.302, 13-43) from August 14th-August 25th...Had an eight-gamehitting streak from July 18th-July 26th...Tied his career-high with a 10-game hitting streak from August 30th-September 10th...Hit .435 (20-46) with five runs scored, four doubles, and two triples...Connected on his first career inside-the-park home run, and the second leadoff home run of his career, in the bottom ofthe first inning on August 23rd vs. Philadelphia off Pedro Martinez...Pagan also led off the game on August 14th vs. SanFrancisco with a home run...Added another home run in the third inning to give him the second multi-home run gameof his career...Also hit a pair of home runs on July 2, 2006 with the Cubs vs. the White Sox...Became the first Mets playersince Tim Bogar on August 14, 1993 at Philadelphia to have an inside-the-park home run as part of a multi-home rungame on August 23rd...Went 4-4 with two doubles and a triple on the final game of theseason, October 4th vs. Houston...The three extra-base hits in agame tied Jose Reyes for the most extra-base hits in a single gamein 2009...Had 11 multi-hit games (one, four-hit game, seven, two-hitgames and three, three-hit games) in the last 23 starts...Had 19multi-hit games in his last 37 starts...Collected at least one hit in 34 of his last 45 games and batted.323 (60-186) in those contests...For his career vs. the American League, he has a .317 (13-41)batting average in 17 games. On July 29th, had his torn left labrum repaired by Mets Medical Director Dr. David Altchek at the Hospital for Special Surgery...Injured his left shoulder while diving into the stands for a foul ball on May 7th at Los Angeles...Made two pinch hitting appearances after that on May 11th vs. Cincinnati and May 12th vs. Washington...Placed on the 15-Day Disabled List on May 13th with the shoulder injury...Transferred to the 60-Day DL on August 3rd...Reached base safely in 19 of his 22 starts with 13 RBI...Had an RBI double, a walk and a run scored in his Mets debut on March 31st at Florida...Had at least one run scored and had one RBI in each of his first four games with the Mets...Became the first Mets player todrive in a run and score a run in each of his first four games for the team...The previous record was a three-game streak byBernard Gilkey in 1996...The last major league player to score and drive in a run in each of his first four games was TonyGonzalez, a mid-season acquisition for the 1969 Braves...Delivered a walk-off RBI single in the bottom of the 12th inning to lift New York to a 4-3 victory vs. Philadelphia on April10th...Tied his career-high with three hits in that game...It was the fifth time he had three hits in a game, and the first timesince June 21, 2007 with the Cubs at Texas...Had a career-best seven game hitting streak from April 8th-April 15th (11-26, .423)...His previous high was a five-game streakwith the Cubs from July 17-July 21, 2007...Hit .343 (12-35) during his first homestand from April 8th-April 17th with four runs scored and four RBI...For the year, he had five games with two hits and one contest with three hits...Knocked in two runs in a game three times...Made 20 starts in leftfield, two starts in centerfield, April 17th vs. Washington and May 6th at Los Angeles and one start inrightfield, April 22nd at Chicago...Played in two major league rehabilitation games with the GC Mets(R) of the Gulf Coash League, one with St. Lucie (A) of theFlorida State League and four with the Brooklyn Cyclones (A) of the New York-Penn League from July 9th-July 16th...For his career vs. the American League, has a .353 batting (12-34) average in 14 games. Matched his then career-high with three hits, May 18th vs. Chicago (AL)...Also had three hits on June 21st at Texas...Itwas his third career three-hit game...Placed on the 15-Day Disabled List on August 8th with colitis and missed the remainder of the year. Made 22 starts in left field and 13 starts in right field. Batted .272 vs. right-handed pitchers and .196 against left-handers. Was 3-for-12 as a pinch-hitter. Pagan did hit two homers July 2 against the White Sox. Angel spent the entire season at Norfolk (AAA) - batted .271 with 20 doubles, 10 triples, 8 home runs and 40 RBI ... finished the year with 27 stolen bases ... had four multi-steal games, including a 3-steal affair July 10 ... was a home run short of hitting for the cycle May 17 against Richmond ... went 3-for-5 with a single, double,triple and 2 runs scored ... saw action in all three outfield positions - had a .972 fielding percentage (9 E/323 TC). The Eastern League all-star spent themajority of the season with Binghamton (AA), wherehe batted .287 and drove in a career-high 63 runs ... had a 18-game hit steak June 10-27, going32-for-72 (.444) with 4 doubles, a triple, 10 RBIand 7 stolen bases over the stretch ... batted .289 with 3 doubles and 3 triples in 12late-season games for Norfolk (AAA). Appeared in 113 games for St. Lucie, hitting.249 with 15 doubles, 33 RBI and 35 stolen bases ... stole two bases in a single game on six occasions,including back-to-back games July 18-19 and July22-23. Combined to hit .288 in 124 games forColumbia (A) and St. Lucie (A) ... ranked fourth in the South Atlantic League afterstealing 52 bases at Columbia ... stole 10 bases in16 games for St. Lucie, including three stolenbases on August 14 ... named to the SAL all-star team. Appeared in 77 games for Columbia (A) andBrooklyn (A) ... selected as a midseason all-star while playing forBrooklyn ... led the New York-Penn league with 30 stolenbases, ranked fifth in runs scored (46) and eighthin batting average (.315). Started his professional career with the Mets'Kingsport (Rookie) team ... batted .361 in 19 games. November 3, 2016 LF Angel Pagan elected free agency. June 14, 2016 San Francisco Giants activated LF Angel Pagan from the 15-day disabled list. June 11, 2016 San Francisco Giants sent LF Angel Pagan on a rehab assignment to Sacramento River Cats. September 1, 2015 San Francisco Giants activated LF Angel Pagan from the 15-day disabled list. August 31, 2015 San Francisco Giants sent CF Angel Pagan on a rehab assignment to Sacramento River Cats. August 29, 2015 San Francisco Giants sent CF Angel Pagan on a rehab assignment to San Jose Giants. August 25, 2015 San Francisco Giants sent OF Angel Pagan on a rehab assignment to Sacramento River Cats. August 23, 2015 San Francisco Giants sent CF Angel Pagan on a rehab assignment to AZL Giants. August 11, 2015 San Francisco Giants placed CF Angel Pagan on the 15-day disabled list. Right patella tendinitis. October 30, 2014 CF Angel Pagan assigned to Senadores de San Juan. October 30, 2014 Senadores de San Juan placed OF Angel Pagan on the reserve list. October 30, 2014 San Francisco Giants activated CF Angel Pagan. October 1, 2014 San Francisco Giants reassigned CF Angel Pagan to the minor leagues. August 7, 2014 San Francisco Giants activated CF Angel Pagan from the 15-day disabled list. August 4, 2014 San Francisco Giants sent CF Angel Pagan on a rehab assignment to Fresno Grizzlies. July 31, 2014 San Francisco Giants sent CF Angel Pagan on a rehab assignment to AZL Giants. August 30, 2013 San Francisco Giants activated CF Angel Pagan from the 60-day disabled list. August 23, 2013 San Francisco Giants sent CF Angel Pagan on a rehab assignment to Fresno Grizzlies. August 16, 2013 San Francisco Giants sent CF Angel Pagan on a rehab assignment to AZL Giants. August 16, 2013 Angel Pagan roster status changed by AZL Giants. July 5, 2013 San Francisco Giants transferred CF Angel Pagan from the 15-day disabled list to the 60-day disabled list. June 2013 left hamstring surgery. June 20, 2013 San Francisco Giants sent CF Angel Pagan on a rehab assignment to San Jose Giants. June 7, 2013 San Francisco Giants placed CF Angel Pagan on the 15-day disabled list retroactive to May 28, 2013. Strained left hamstring. December 7, 2012 San Francisco Giants signed free agent CF Angel Pagan. November 3, 2012 CF Angel Pagan elected free agency. December 7, 2011 San Francisco Giants traded RHP Ramon Ramirez and CF Andres Torres to New York Mets for CF Angel Pagan. May 27, 2011 Angel Pagan roster status changed by New York Mets. May 26, 2011 sent OF Angel Pagan on a rehab assignment to Buffalo Bisons. May 18, 2011 sent CF Angel Pagan on a rehab assignment to St. Lucie Mets. May 4, 2011 sent CF Angel Pagan on a rehab assignment to St. Lucie Mets. April 22, 2011 New York Mets placed CF Angel Pagan on the 15-day disabled list. Pulled left oblique. 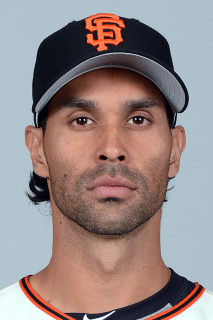 November 11, 2009 OF Angel Pagan assigned to Leones de Ponce. July 10, 2009 New York Mets activated CF Angel Pagan from the 15-day disabled list. July 6, 2009 New York Mets sent RF Angel Pagan on a rehab assignment to St. Lucie Mets. June 1, 2009 New York Mets placed RF Angel Pagan on the 15-day disabled list. Right groin strain. May 16, 2009 New York Mets activated CF Angel Pagan from the 15-day disabled list. May 12, 2009 New York Mets sent CF Angel Pagan on a rehab assignment to Buffalo Bisons. April 5, 2009 New York Mets placed CF Angel Pagan on the 15-day disabled list retroactive to March 27, 2009.